Naturopathic medicine is a branch of medicine in which a variety of natural medicines and treatments are used to heal illness. It uses a system of medical diagnosis and therapeutics based on the patterns of chaos and organization in nature. Naturopathy is founded on the premise that people are naturally healthy, and that healing can occur through removing obstacles to a cure and by stimulating the body’s natural healing abilities. The foundations of health in natural medicine are diet, nutrition, homeopathy, physical manipulation, stress management, and exercise. Naturopaths are general practitioners who treat a wide variety of illnesses. They believe in treating the “whole person”—the spirit as well as the physical body—and emphasize preventive care. They often recommend changes in diet and lifestyle to enhance the health of their patients. People have always seen connections between diet and disease; many therapies are built around special diets. Naturopathy began in the eighteenth and nine-teenth centuries, as the industrial revolution forced many people into unhealthy lifestyles, and the European custom of “taking the cure” at natural spas became popular. Benedict Lust, who believed deeply in natural medicine, organized naturopathy as a formal system of healthcare in the 1890s. By the early 1900s, it was flourishing. The first naturopaths in the United States emphasized the healing properties of a nutritious diet, as did a number of their contemporaries. In the early twentieth century, for instance, John Kellogg, a physician and vegetarian, opened a sanitarium that used such healing methods as hydrotherapy, often prescribed by today’s naturopaths. His brother Will produced such health foods as corn flakes and shredded wheat. The Post brothers helped make naturopathic ideas popular and emphasized the value of whole grains over highly refined ones. Together with one of their employees, C. W. Post, they eventually went on to start the cereal companies that bear their names. In the early 1900s, most states licensed naturopaths as physicians. There were 20 medical schools of naturopathic medicine. 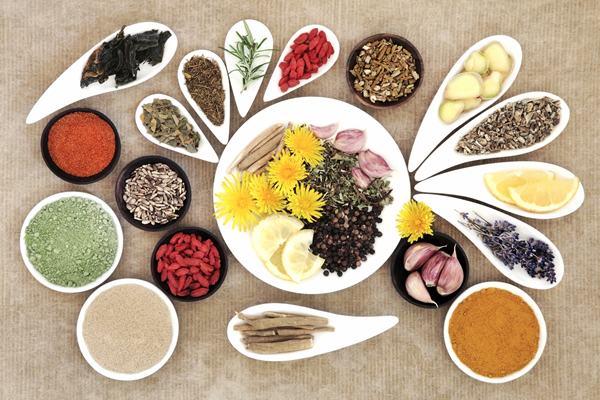 From early on, naturopathic physicians were considered “eclectic,” since they drew on a variety of natural therapies and traditions for treating their patients. In the 1930s, naturopathy dramatically declined for several reasons. Allopathic medicine finally stopped using such therapies as bloodletting and heavy metal poisons as curative compounds. New therapies were more effective and less toxic. Allopathic medical schools became increasingly well-funded by foundations with links to the emerging drug industry. In addition, allopathic physicians became much more organized and came to wield considerable political clout. Naturopathy has experienced a resurgence over the last 20 years, however. The lay public is aware of the connections between a healthful diet and lifestyle and avoiding chronic disease. In addition, conventional medicine is often unable to treat these chronic diseases. Patients are now health care consumers, and will seek their own resolution to health problems that cannot be resolved by conventional physicians. As a result, even medical groups that once considered naturopathy ineffective are now beginning to accept it. Naturopathic medicine is useful for treating chronic as well as acute diseases. It is sometimes used in conjunction with allopathic care to enhance wellness and relieve chronic symptoms, such as fatigue and pain. A naturopath treats a wide range of health problems, ranging from back pain to depression. A naturopathic physician will spend extra time interviewing and examining the patient to find the underlying cause for a medical problem. Emotional and spiritual symptoms and patterns are included in the assessment. The naturopath often spends more time educating patients in preventive health, lifestyle, and nutrition than most M.D.s. Naturopathic medicine modalities include a variety of healing treatments, such as diet and clinical nutrition, homeopathy, botanical medicine, soft tissue and spinal manipulation, ultrasound, and therapeutic exercise. A naturopath provides complete diagnostic and treatment services in such specialties as obstetrics and pediatrics. Some are also licensed midwives. Naturopaths consider health to be not just the absence of disease, but complete physical, mental and social well being. Naturopathic physicians often say that diseases must be healed not just by suppressing symptoms, but by rooting out the true cause. Symptoms are actually viewed as the body’s natural efforts to heal itself and restore balance. A typical office visit to a naturopath takes about an hour. During the first visit, the doctor will ask detailed questions about the patient’s symptoms, lifestyle, history of illness, and state of his or her emotions. The naturopath will take a complete medical history, and may order lab tests such as urine and blood tests. A naturopath may talk with the patient about the possible causes for an illness—poor diet, life stresses, occupational dangers, and mental, emotional, and spiritual problems. Naturopaths believe that even widely varying symptoms can sometimes be traced to one underlying cause. Often environmental or metabolic toxins or serious stress bring on an illness. As with most doctors, treatment by a naturopath can range from one office visit to many. Some acute illnesses can be alleviated with one or two visits. Other chronic diseases need regular weekly or monthly attention. Clinical care provided by naturopathic physicians are covered by insurance in a number of states in the United States. There are about 1,500 naturopathic physicians in the United States practicing as of 2004; nearly 80% of these practitioners entered the profession following the revival of interest in naturopathy in the late 1970s. Consumers can find naturopaths by contacting the American Association of Naturopathic Physicians (AANP) or logging on to their web site. Naturopaths recommended by the AANP have met requirements for state licensure and have taken a national exam that qualifies them to practice. Qualified naturopaths can also be found through the local branch of the national or state association of naturopathic physicians. It is sometimes useful to request names from another health care provider who knows naturopathic practitioners in the community. A good naturopath is always willing to work with the patient’s other physicians or health care providers. To avoid drug interactions and to coordinate care, it is important for a patient to inform his or her allopathic doctor about supplements prescribed by a naturopath. Many naturopaths give childhood vaccinations, but some do not. If a parent is concerned about immunizations, it is best to go to an allopathic doctor for vaccinations. Naturopaths are not licensed to perform major surgery, or prescribe narcotics and antidepressant drugs. They must also consult an oncologist when treating a cancer patient. 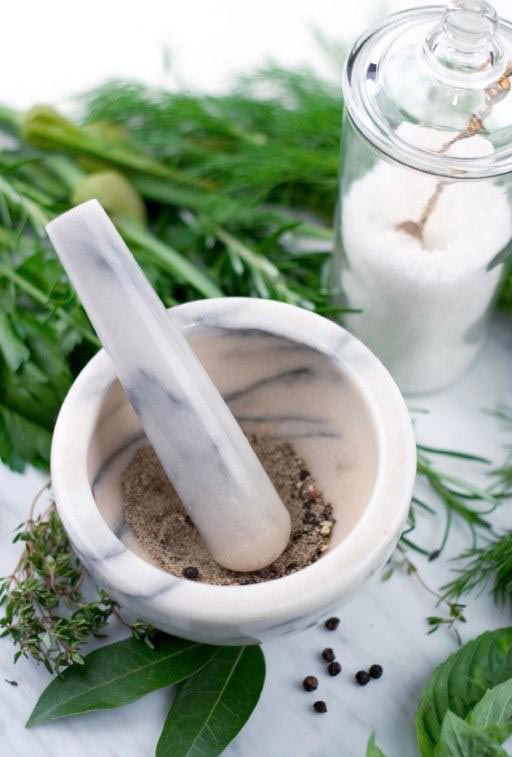 Although naturopathic remedies are derived from natural sources and pose much less risk than allopathic drugs do, there are certain side effects associated with the use of some herbal preparations. One problem they can pose is through interactions with prescription medicines. It is important for a patient to inform his or her allopathic physician about any natural remedies or herbs prescribed by a naturopath. It is also important to note that the U.S. Food and Drug Administration (FDA) considers medicinal herbs to be dietary supplements, not drugs; as a result, they are not subject to the same regulations as prescription medications. Because herbal remedies come from natural sources, the active ingredients may not always be in the same concentration from bottle to bottle, since plants naturally vary. To guard against using too little or too much of a natural remedy, patients should use herbs and supplements recommended by a naturopath or those produced by well-respected companies. 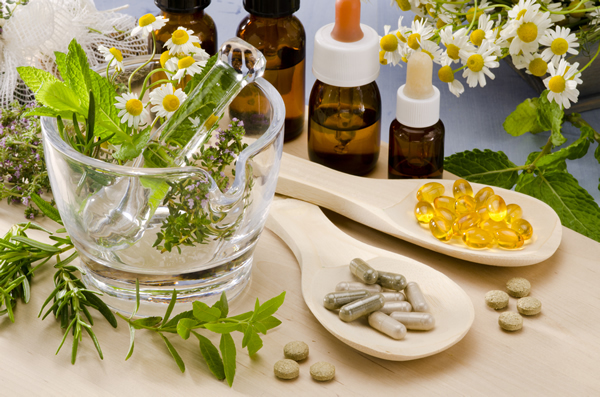 Medical research in naturopathy has increased dramatically in the United States within the last 10 years. Naturopathic research often employs case histories, summaries of practitioners’ clinical observations, and medical records. Some studies by naturopaths in the United States have also met today’s scientific gold standard; they were double-blind and placebo-controlled. Much naturopathic research has also been done in Germany, France, England, India, and China. Some mainstream medical practitioners remain distrustful of naturopathy, however. Such problems as health-food store employees without naturopathic credentials giving health-related advice to customers, or occasional rare cases of infections caused by naturopathic injections, continue to damage the reputation of this form of alternative medicine. Research in naturopathy tends to focus on single treatments used by naturopaths, rather than naturopathy as a whole. In 1998, an extensive review of such single-treatment studies found that naturopathic healing methods were effective for 15 different medical conditions, including osteoarthritis, asthma, and middle ear infections. A study of 8,341 men in with damaged heart muscles in 1996 revealed that supplementation with niacin, a B vitamin, was associated with an 11% reduced risk of mortality over 15 years. In 1996, a study showed St. John’s wort was effective as prescription antidepressants in relieving depression, and had fewer side effects. Naturopathic studies have also demonstrated benefits in the arena of women’s health issues. In recent years, more women than men have been drawn to naturopathy because of its holistic emphasis, its tradition of relative equality between practitioner and patient, and its philosophy of eclecticism and freedom of choice in healing methods. In one classic 1993 study, women with cervical dysplasia or abnormal Pap smears were treated by naturopaths with topical applications of herbs and dietary supplements. These medications included Bromelian, an enzyme from the pineapple; bloodroot; marigold; zinc chloride; and suppositories made from herbal and nutritional ingredients, such as echinacea, vitamin A, and vitamin E.
Thirty-eight of the 43 women in the study had normal Pap smears and normal tissue biopsies after treatment. The study concluded that these protocols might benefit the health of patients undergoing more traditional treatments for cervical dysplasia, such as cryosurgery. Other more recent research has documented the benefits of such nutritional foods as soy in relieving hot flashes and vaginal dryness. Nutritional supplements prescribed by naturopaths to enhance women’s health during menopause have also proven effective; in general, naturopathy appears to be as useful as conventional medicine for treating menopausal symptoms. Research shows vitamin E supplements are helpful for 50% of postmenopausal women with thinning vaginal tissue. Studies also reveal that bioflavonoids with vitamin C and gamma-oryzanol, a substance taken from rice bran oil, can relieve hot flashes. Another area of women’s health concerns that naturopathy has taken seriously is a growing preference for skin care and beauty products derived from natural sources rather than from chemical laboratories. Such products are often more beneficial to the skin and less likely to cause rashes or other allergic reactions.